﻿ NBR O-Rings- O-Rings - Yishili Dress Co.,Ltd. 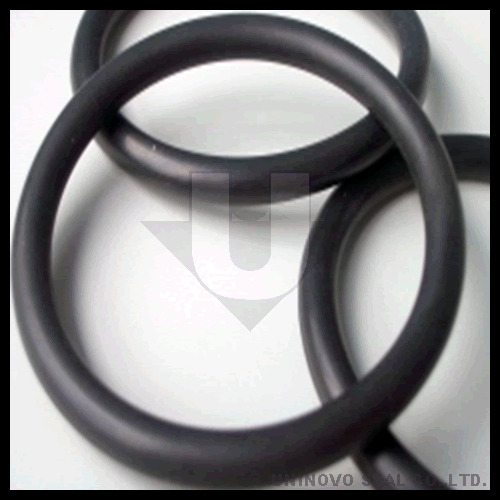 Description:NBR O-Rings is the most most cost effective and commonly available seal element for varies industry. NBR (also known as Nitrile or Buna-N ) is a synthetic rubber material.Nitrile, chemically,is a copolymer of butadiene and acrylonitrile.Acrylonitrile content varies in commercial products from 18% to 50%.As the nitrile content increases,resistance to petroleum base oils and hydrocarbon fuels increases, but low temperature flexibility decreases.Its versatility makes it an ideal seal material for all industries and applications. The range of performance characteristics of Buna-N allows it to be utilized in a diverse set of applications.NBR is often used for gaskets and o-rings in pneumatic,hydraulic,and fuel systems.Hydrogenated versions of NBR (HNBR) have enhanced mechanical properties as well as greater thermal and chemical stability.Specific physical properties and chemical resistances vary by compound formulation. NBR O-Rings is the most most cost effective and commonly available seal element for varies industry.They offers relative low cost,good mechanical properties,good tear and abrasion resistanceand resistance to many common oils, fuels and lubricants.NBR O-rings has poor resistance to weathering,sunlight and ozone so it is best used in enclosed environments where parts are not exposed to the elements. Add:Add:19th Caosean Road, Xihuatou, Cixi City, Zhejiang 315302, China. Copyright(c) by Yishili Dress Co.,Ltd. All Rights Reserved.